The United States and the United Kingdom seem to be in two quite different places when it comes to marijuana and marijuana policy. On this side of the Atlantic, two states have legalized the weed, and in all likelihood, more will follow in 2014 and more yet in 2016. Meanwhile, medical marijuana continues to expand, and states that aren't quite ready for legalization are moving toward decriminalization. National polls here are consistently showing that support for marijuana legalization has crossed the threshold into majority territory, weed-smoking is now the stuff of casual comment instead of horrified gasps, and, in what could the clearest sign of marijuana's growing acceptance, profit-minded entrepreneurs are beginning to line up for a chance to grab the grass ring. It's almost, but not quite, as if we have already won, and all that's left is clearing the last holdouts of pot prohibition. On the other side of the Atlantic, things seem to be heading in the opposite direction. Heeding the advice of its drug experts (an increasingly rare thing there), Britain in effect decriminalized marijuana in 2004, but backtracked four years later, pushing it a notch back up its dangerous drug schedules. The British press is full of reports of raids on "cannabis factories," or what we would call indoor gardens, and replete with the sort of Reefer Madness nonsense that would make Harry Anslinger blush. Fertilizer becomes "poison cannabis chemicals," the deadly "skunk" turns kids into homicidal "feral youths," and anti-cannabis crusade victims regularly appear before the courts to go through the self-abasing ritual of explaining that they should have mercy because their cannabis addiction ruined their lives. They know what they're supposed to say. When it comes to marijuana, in feels like 1963 in Britain instead of 2013. Cannabis Nation and Marijuanamerica certainly reflect those differences in style as well as substance, even if they don't explain them. (And why should they? Neither makes a pretense at being a comparative study.) The former is a stately academic review of British pot policy in the last century, relying heavily on governmental files, diplomatic archives, commission reports, and police arrest records, while the latter is an impressionistic journey through American weed's Wild West, relying heavily on interviews, first-person reporting, some participatory journalism, and copious amounts of the chronic itself. Despite their differences in tone and subject matter, both are worthwhile contributions to the rapidly increasing literature around marijuana and marijuana law reform. 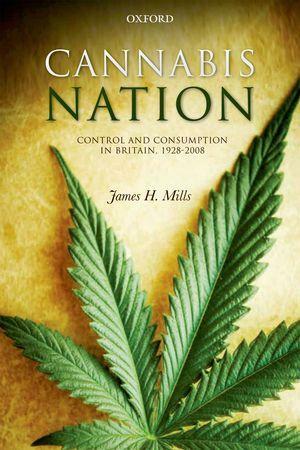 Cannabis Nation is authored by respected British drug historian James Mills and is the sequel to his 2003 Cannabis Britannica, which traced Britain's involvement with the herb from 1800 into the beginning of the 20th Century. In this second volume, Mills not only tracks the emergence of marijuana consumption in the metropole, but also the impact of Britain's legacy as a colonial power on its encounter with the weed. There are parallels with the American experience, but also differences. In both countries, marijuana was the province of outsiders. Here, it was Mexicans and black jazz musicians who were the original consumers; in Britain, as Mills shows, it was South Asian, Caribbean, and Arab colonial subjects who brought pot-smoking to Albion. And before the aftermath of World War II, when Commonwealth citizens flooded into Britain, marijuana use was rare indeed. Mills shows the pre-war pot arrests were almost nonexistent, counted in the dozens annually, and almost entirely of merchant seamen of Arab or Indian descent enjoying their shore leave. It was only in the post-war era that British marijuana consumption began to spread rapidly, first among the Commonwealth emigrants, for whom its use was long-engrained in their home cultures, and then among working- and middle-class Anglo-Saxon youth. By the 1960s, the issue of marijuana exploded with the arrest and jailing of Rolling Stones guitarist Keith Richard and subsequent campaigns for liberalization led by the Beatles and other counter-cultural figures. But Mills downplays the importance of the counter-culture rebellion, arguing that for many young British consumers, marijuana was no more (and no less) than something to get intoxicated with, not a token of cultural revolt. In fact, the British marijuana reform movement gets relatively short shrift, as Mills concentrates on the doings of the politicians, ministries and constabularies. It is worth noting that, thanks to the drug diplomacy in the era of the League of Nations, Britain not only got a broad understanding of the plant's widespread use (British India lobbied hard for a relaxed approach, while British Egypt lobbied equally hard for a tough prohibition), but British police were mobilized to police marijuana early -- before there was any consumption to speak of. One of Mills' key points is that nearly a century later, the police continue to play the key role in British pot policy. In the wake of the 1960s' pot controversies, politicians adopted the "British compromise," maintaining existing marijuana prohibition, but leaving the level and intensity of enforcement up to the police. As he shows, with politicians treating marijuana as a political football, that's still the case. Such a stratagem may work for the police, less so for marijuana growers and consumers, but it raises the question of whether law enforcers should be de facto policy-makers. Overall, Cannabis Nation is a key contribution to the history of British pot politics, an academic treatise that is also quite readable and provocative, and one that disentangles the political and social forces behind marijuana use and reform in Britain. Given its $65 cover price, though, you're probably going to want to read it at your university library, or else hope that an affordable paperback edition appears. Alfred Nerz inhabits a different world from James Mills. 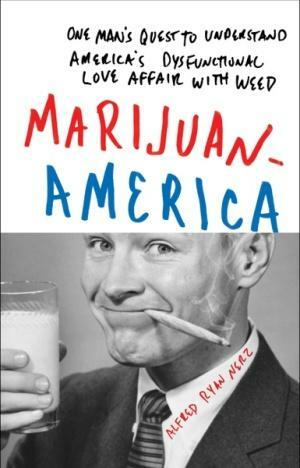 His Marijuanamerica is only among the most recent of dozens of popular accounts of the reefer revolution sweeping the US, and he traverses lots of familiar territory: He attends Oaksterdam University, interviews Richard Lee and Harborside Health Center's Steve DeAngelo, then heads for Humboldt County to smell the revolution for himself. Amidst his travels, Nerz takes detours to address the issues around marijuana use -- is it helpful or harmful? What are its physical effects? Is it addictive? And should I quit smoking so much? -- and does so with verve, wit, and an engaging way with the science. But what makes Marijuanamerica stand out in an increasingly crowded field is Nerz's own story of getting involved with California marijuana "outlaws." The book opens with him cruising eastbound down Interstate 80 just outside of Omaha with 100 pounds of weed in the trunk and a Nebraska State Patrol trooper on his tail. For someone carrying a personal pot stash down the nation's interstates, such an encounter is frightening; for someone carrying several felonies worth, it is absolutely terrifying. You'll have to buy the book to discover how that experience turned out. Nerz's sojourn with the outlaws is eye-opening and somewhat disturbing, but also refreshing. There have been an awful lot of words written about medical marijuana, with its noble purveyors working to alleviate human suffering. And most of them are true. But California also produces one hell of a lot more pot than even its wide-open medical marijuana market can absorb, and so do growers in Colorado, Oregon, Washington, and other medical marijuana states. It's the All-American combination of enthusiasm for a wonderful plant that gets you nicely high, the desire to stick it to "the man," and the impulse to get rich quick. That's been part of America's pot culture for the past half-century at least, and it's nice to get past the sanctimony of medical marijuana and back to the outlaws. You will want to read Cannabis Nation if you have a serious interest in the history, politics, and diplomacy of marijuana in England, and you'll have fun doing so. You don't need to be nearly as serious with Marijuanamerica, and you'll most likely have more fun, especially hanging out with those shady pot outlaws and Nerz himself. But both would make nice additions to your drug literature bookshelf. A new documentary from Tribeca Films has hit the wires. 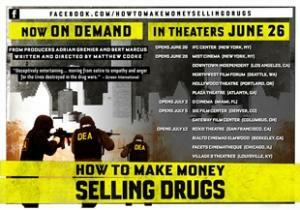 How to Make Money Selling Drugs was produced by Adrian Grenier ("Entourage") and Bert Marcus, and directed by Matthew Cooke. 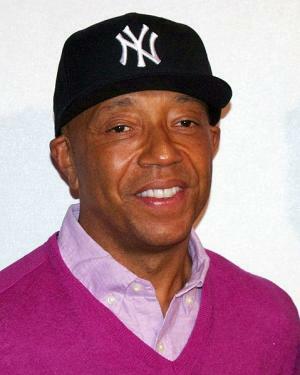 It features interviews with celebrities Russell Simmons, Susan Sarandon, David Simon (creator of "The Wire"), and Arianna Huffington. Some of my colleagues also figure in the movie, including Neill Franklin, Eric Sterling and Howard Wooldridge, among others. It is opening in select theaters in some cities (see the web site for info), and is available through iTunes and OnDemand. There's also an iPhone app, Tug of War on Drugs. Actor Cameron Douglas was serving five years prison time for a drug law violation, when he was tested positive for drug use. The judge added 4.5 more years to his sentence, the heaviest penalty ever dealt out in that situation. He wrote an editorial, "Words Behind Walls," submitted by his girlfriend on his behalf to the Huffington Post. "Words Behind Walls" is not mainly about his own story -- although he goes into being kept in solitary confinement for 11 months -- but mostly about the tragedy and injustice of half a million nonviolent drug offenders in the prisons and jails, many simply in a cycle of addiction and relapse like he is. His piece, linked above, is worth reading -- but not before I remark on the incomprehensible cruelty shown by the judge in this case. That judge must be some kind of lost soul himself. At least that is how it looks from here. It has been one hell of a year since we last celebrated the increasingly official holiday of the cannabis community. It's been a bumpy ride for marijuana reform, but no one said this struggle was supposed to be easy. The challenges of 2012 are also an opportunity to build a bigger and better movement, and that's exactly what we'll do. Anyway, look at me getting all serious when a lot of people just wanna have fun today. Go for it. You deserve it. Enjoy yourself. But be safe and come back on Monday ready to fight. I’ve been named Freedom Fighter of the Month in the November issue of High Times. I think this happened either because of that incident where we crashed the White House contact page, or because they ran out of other people to give it to. In any case, I think it’s pretty cool. I remember years ago I was just out of college, doing unpaid internships, living with my parents, reading High Times at the office and hoping I would one day be worthy of this particular honor. Well, thanks guys, and yes my offer still stands, I suppose. Performances Friday and Saturday night. More information (including a ticket discount code) available at https://www.facebook.com/event.php?eid=143778015713969. 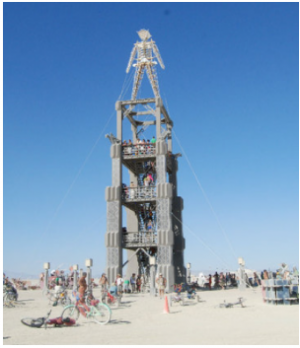 Editor's note: This is a repost of the piece I wrote about Burning Man last year. I couldn't top it, so I'm sharing it again. Enjoy. Having just emerged from one of the most epic experiences of my life, I'd like to share a few thoughts before returning to my usual news-skewering routine. Don't worry, it's about drug policy, although I'm proud to say I did manage to go an entire week without thinking about the drug war much at all. I just spent seven days in the desert with 50,000 very enthusiastic adventurers, more than a few of whom engaged in the recreational use of mind-altering substances other than alcohol. Now, Burning Man is about much more than drugs, and even among those choosing to consume, beer seemed to be the most popular choice. But there was also a robust and visible psychedelic culture to be found there, making the event a rather vivid depiction of what happens when you release thousands of rabid psychonauts in harsh desert conditions and let them do whatever the hell they want. Let's just say the outcome is substantially more graceful and orderly than even my own wide-open mind could have anticipated. I've seen far more sloppiness and idiocy at any football game I've ever attended than I did at Burning Man, even after dark when the serious weirdos really get down to business. Not even an abundance of liquid acid can unravel the inherent civility that takes hold when an intentional community of caring and curious people unites to celebrate free-expression on its own terms. No major festival is entirely immune to the disruptive influence of individual trouble-makers, but Burning Man has established an impressive track record of general safety and cohesion going back many years now. It's a brilliant exhibit in the viability of expanding the boundaries of acceptable human behavior, particularly insofar as anyone who doesn't want to see naked people driving around in fire-breathing dragon-cars can simply choose not to attend. The whole experience for me became yet another reminder of the profound stupidity of attempting to purge the psychedelic experience from our culture. If the paranoid fulminations of the anti-drug demagogues even approached the truth, an event such as this could never exist, for the playa would be soaked in blood and tears before the first sunrise. Once it's understood that the post-legalization drug apocalypse we've been taught to fear for so long is nothing more than a mindless fantasy, the justification for war evaporates faster than sweat under the desert sun. Everyone in the nation's capital seems to be talking about marijuana policy. Well, here's your chance to join the conversation! On Wednesday, September 14th, Students for Sensible Drug Policy will be hosting our first annual Washington, DC reception to thank our students and allies for their amazing work and support for marijuana legalization. We're particularly excited to announce our special guests - Niambe Tosh, daughter of legendary musician Peter Tosh, The Wire's Tray 'Poot' Chaney, and the Honorable Jared Polis (D-CO)!